This is a guest post by Lisa Smith. She is a Designer and a writer at Blueberry labs. High quality business templates have been in use for well over a decade. Visit Creative Market online and you are bombarded with so many themes for business. Go to Theme Forest and look around; you will discover that the number of business templates available for download is downright overwhelming. But how exactly do these documents help businesspersons? For years, entrepreneurs have used them to develop customer relationships without investing a lot of money in the process. Catalog, brochures, coupons, billboards, and flyers, to mention just a few examples, have helped many companies to reach the targeted audiences in the shortest time possible. Let’s face it: the competition in the market is not very friendly and marketing is becoming more expensive than it was half a decade ago. Ultimately, you have to do the best you can to withstand the rivalry no matter what it takes, and the best way to do this is to use the following templates to boost sales. The number of business cards printed every year continues to increase rapidly. Every entrepreneur wants a potential buyer out there to notice the existence of his or her products and services, and they have discovered that the single most valuable means to create the awareness is to bring business cards with them wherever they go. Business cards often yield massive results. Notice that it is a direct marketing tool, which gives a businessperson an opportunity to have a face-to-face conversation with a potential buyer. The truth is, nothing could be more fulfilling than having the opportunity to not only issue a business card to a client but also to interact with them for a few minutes. There is no gainsaying that electronic emails have become popular on the market today, with Google taking the lead in providing free e-mail service on the plant. The invention of smartphones and the Android Operating System even got more people using emails. Ultimately, sending and receiving emails have become the second most popular means of communication after instant, cross-platform messaging. For a business looking forward to grow, the popularity of e-mailing means only one thing: email templates can help you expand your consumer base in a way Google Plus and Facebook Advertising never can. So, you should start implementing email marketing into your marketing strategies and begin tracking results. It is good to have the best product, but until potential customers know about the existence of your business and your offers, you still don’t have a business. Marketing miracles don’t just happen anymore – and they never did even in the old days. By downloading, customizing, and integrating Sales and Marketing Plan templates into your business process, you will not only be able to budget properly but also connect directly with the right customers. Local businesses have found sample marketing plan templates useful in leveraging their marketing strategies, and the profits they’ve made thus are far much motivating. Start using this template today, and you will surely see a lot of differences. Write business letters and share them with new and repeat customers. Use business letter templates as frequent as you can. Use appropriate business letter formats so that your customers can connect with you easily. The letters shouldn’t be promotional all the time. Persuading customers to come back and buy more in future isn’t going to yield fruits, unfortunately. The secret to making customers love reading your letters is to educate them. If the content of the business letter is useful, customers will always be looking forward for more. Overtime, your business will become more valuable to them, and they will always keep coming back. Just because you think customers are happy with your products doesn’t really mean they are. The notion that your product is cool because it is selling fast and yielding profit doesn’t mean that your consumer base thinks the same thing. Sooner or later, somebody is going to come to your business premise and complaint about a product you thought was a cut above to the rest on the local market. That is why case templates exist. The sample case templates enable your business to collect customers’ complaint and recommend or provide solutions as soon as possible. Using case template ultimately approve that you put more value on customer feedback – at most of the sake of your business. While managing your inventory won’t boost your sales by a bigger margin, it does play the role of making sure loyal customers don’t search for alternative products to yours when you run out of stock. There are two reasons why inventory templates are necessary in business. First, they help you make sure you never run out of stock. The fundamental rule of business is that customer should get goods immediately they want them, which means you must never run out of stock. If the stock runs low, restock so that you don’t keep customers waiting. Lastly, inventory management helps to make sure you don’t have more than you need in stock. An action plan template is a document outlining a series of steps to do something. So, if you have a business activity that demands an action plan, this is the best document to use. Action plan templates have been in use for a while now, and they will continue to be in use as long as your business exists. An action plan outlines a project that you will do by dividing it into bits, assigning relevant resources to each section of the project, allocating an appropriate action to each stage, and then executing the plan afterward. As long as you are in business, an action plan template is a must have. You cannot know what will happen to your business in future, but that doesn’t mean it is difficult to make predictions. Of course, every enterprise has those best moments when sales increase by day because customers keep coming back. However, there are rough days, too, when overheads outweigh returns and investments earn zero profits. Business risks aren’t out of questions either. You must have already witnessed risky business cases, and they are often beneficial and sometimes catastrophic. Determining all these can’t be possible without business forecasting, and the only cheapest way to do an enterprise forecast is to use a business forecast template. How do you use your business’ money? Do you just wake up one morning and decide to stock? How many times have you made unplanned deals that cost you thousands of dollars? The truth is you may have been a victim of these mistakes, and that is not okay, at all. There is a reason why budge plan templates exists on the market today. They are the single most valuable tools your business needs to make the right financial decisions. By using a budget plan template to plan for your money, you will not only channel money to the right project and make wise investment decisions but also your business will improve overtime and make profits instead of otherwise. In as much as customers often buy goods and services at fixed prices, they won’t mind discounts at all. In fact, the more discount offers you give, the more customers you are likely to receive. 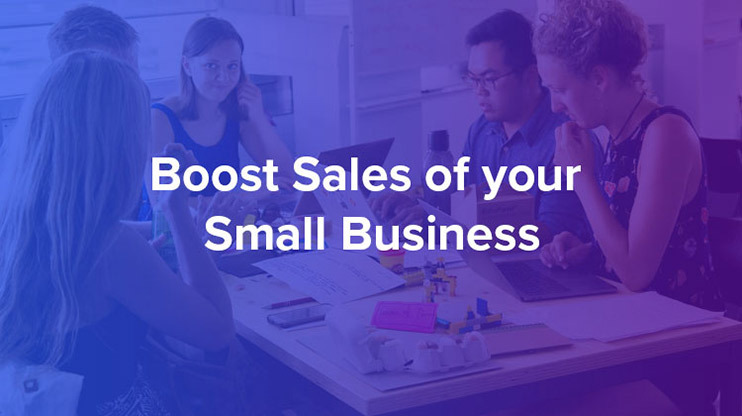 Overall, people are not just to keep coming back to your business for the discount; they are also going to do so because of the flexibility of your business. Fortunately, businesses that use voucher templates often make more profits than businesses that don’t, reason being, slicing off the prices of goods, especially during promos, almost always entices customers and increase their loyalty to your brand. The question many locally successful businesspersons as is, do I need an online presence? Well, it depends, but that doesn’t squash the essence and necessity of website templates. If we think about it for a moment, WordPress came for a reason, and it has been helping local businesses create online presence so far for a long time. Moreover, the number of people using the internet to do search is fundamentally great. You cannot reach such a mammoth with ease unless you have an online presence. The way I like to think of it is, if you want to get local and global exposure, then website templates are absolutely necessary. Statement templates have been around for a long time, and they are increasingly popular in many enterprises today. The number one reason why statements are important is they determine the progress of your business. Moreover, statements are helpful decision-making reports that will help your business change its strategy for the good of the company. Statement templates show the profit or losses your business made for a given period after deducting total sales from total expenses. If you have not used a statement template before, or even you’ve never thought about writing a profit and loss statement for your business, then it is easy to assume that you don’t know why you are in business in the first place. Sales forecasting templates are right tools to use if you want to determine the future of your business in terms of sales. Is your current marketing model bearing the expected fruits? If yes, what is the likelihood that your business will sell in the future? If no, what is your business doing now to change its marketing strategies to improve sales? Regardless of whether or not you agree, only sales forecasting can help you assess the tomorrow of your enterprise. The reason for conducting a sales forecast is not to see whether starting the business was worth it. It is to make it possible for you to make the right choices, review your strategies and sell more now as well as in future. Do you know what customers really say about your product? There are two possibilities for this case: either you already know or you completely have no idea. Regardless, you can use the product survey template to collect important feedback from your customers. The best thing is the templates are free to download, so you don’t have to bother creating them yourself. Customer survey templates are readily available for free download. They help you to draw conclusions about your business from the customers’ point of views. They help you to analyze your business to see whether you are doing any better. The templates are easy to customize. These templates are specific to their functions, so you should pick the right template for the right job. Perhaps the second best advantage of the templates is that they are readily available for free download. You never have to create them from scratch, even if you have the time for the job.